Danny Way’s “Waiting for Lightning” suffers from many of the imperfections that film profiles of hyped athletes do. That said it gives sufficient insight into this extraordinary man. Skating has been the kingpin of all the ‘action sports’ for the last 35 years. It’s many and varied key practitioners have pushed this street sport to places that were utterly unfathomable only a few generations ago. The sport has had significant influences on all the other ‘action sports’, music, art and fashion. Danny Way has towered over the sport for much of this time. Scarily focused,he looks beyond the horizon of current performance like a caged beast imagining the endless green plains that are it’s right to roam. The film finishes with a brief (too brief ) look at the super sized street course he has constructed in a valley. The kick flip into oblivion that finishes the film makes me shudder for the future of Mr Way’s already battered body and excites the imagination in equal measure. On a more prosaic note I had two quick rolls around at B bowl this weekend. 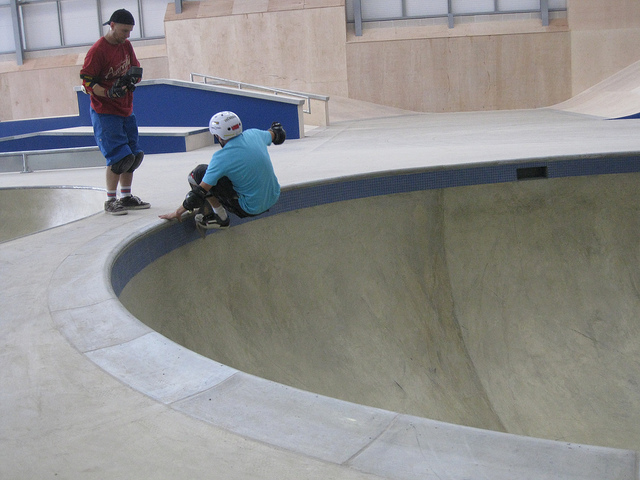 I tweaked my back and only briefly made acquaintance with the deep end coping…..Of course DW is younger than I am. Dropping in or for that matter taking the drop ,in surf parlance, is always one of the best rushes available from boarding. 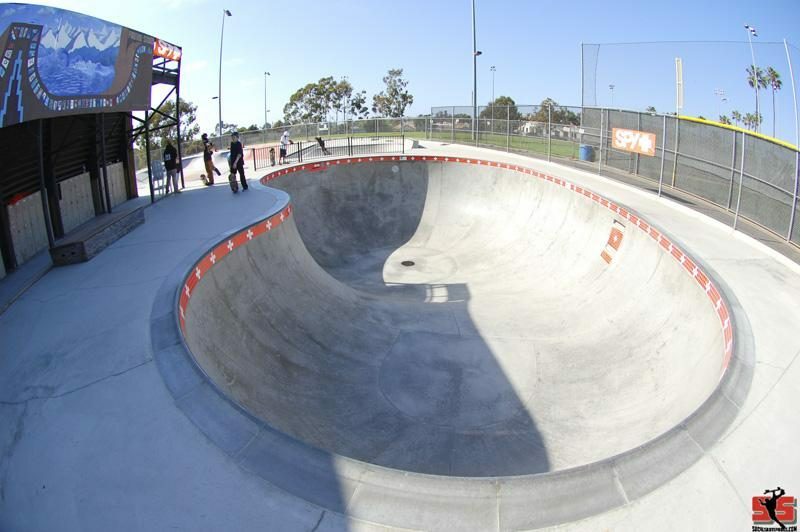 Today I dropped into the deep end of the bowl at my local skate park. No big deal, I have done it many times before …but not for a good while.The first time you drop into a wave/ramp/bowl which is just a little out of your comfort zone the view looks like this. The techniques and psychology are examined on a skate forum and an online surf writing resource. Both worth a look ….if you are so inclined. The title of this piece is ladden with significance. Yes, it has taken me to reach the penultimate weekend of the year before setting out on a skate trip. 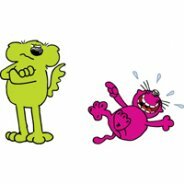 I will not bore you with the reasons for this parlous state of affairs but safe to say my physical well being during the past year has had some bearing on the matter. The wearisome details will be passed onto you dear reader in another post. So, labouring under the ill effects of a late night out , we set off for the glittering precincts of Hemel Hempstead. Why Hemel Hempstead I hear you say? Well it so happens that this town has the benefit of a new indoor extreme sport facility. In fact Hemel has the only indoor multi extreme sport facility in the UK. XC boasts indoor caving,climbing bouldering and a wonderful indoor skatepark. 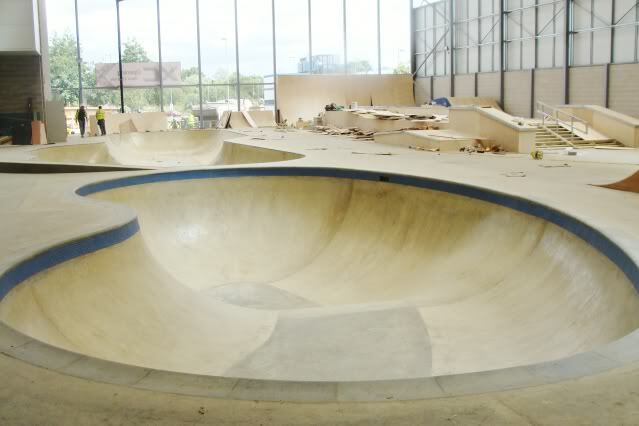 The skate facility includes a large street/plaza complex , a very large bowl and a kidney shaped pool with concrete coping. As with most skate exploits I was accompanied by the inestimable Mike Day (pictured above on another day). Of course Mike has been a regular since XC opened but pleasingly he was good enough to give up a weekend to watch his out of practice and lets face it , none too skilled mate roll around the pool. As you can see above Mike has the place wired.Most impressive this time were his rollouts from the big bowl straight into rollins to the pool. The pool is truly a thing to wonder at. The finish is hand and shoulders above anything I have skated before. The transitions are challenging (for this old skater) but perfectly linked. The deepend at 8 feet deep could perhaps be a little deeper just so the walls reach vertical but no matter. 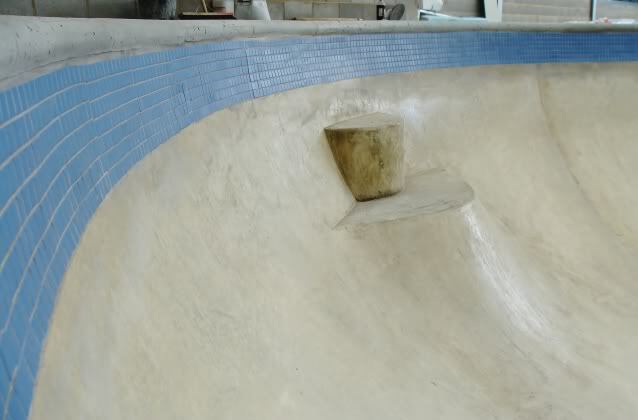 The thing is a temple for the British pool rider. As for me, I started off in fairly slowly with only backside carves and grinds. My form improved the next day. I carved frontside and backside with a deal more conviction. The love seat (pictured below) however proved to be a distraction that I could not over come. Next time (January) I promised myself I will grind over the seat with the nonchalance, Mike showed. Its good to be back riding this stuff.